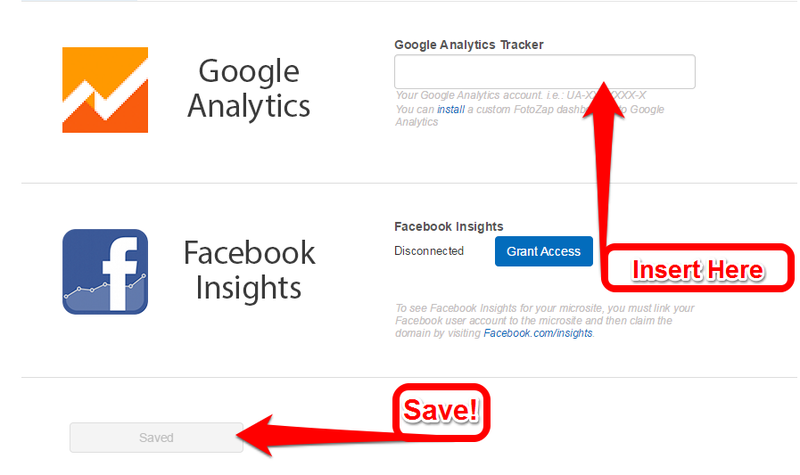 You can add your own Google Analytics code to your photo sharing site (in literally a few minutes). This will allow you to track visitors to your site and see what they are clicking/how they are interacting with their photos and videos. 1. Log into your Google Analytics account, and click on Admin then add a New Account. 2. Create your new account, and enter the URL of your Fotozap Photo Sharing Website along with an appropriate name. 3. Copy the Tracking ID provided by Google Analytics. 4. Log into my.fotozap.com and enter the ID under Customize. Fill in your UA-XXXXXXX-X number in the text field and then hit save. Note: It can take up to 24 hours for Google Analytics to detect the tracking code on your Fotozap site. Click here to install a useful dashboard to your Google Analytics account. 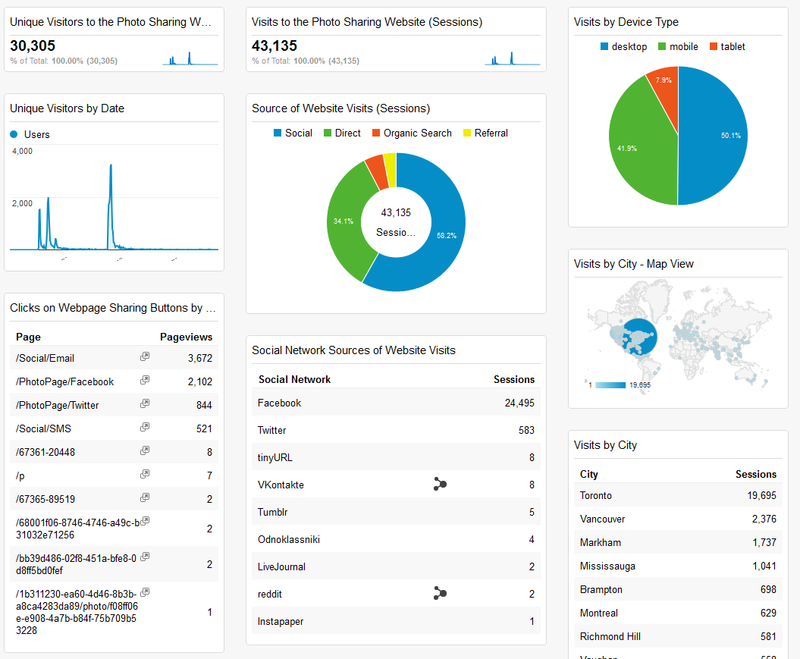 When you add this custom dashboard configuration to your Google Analytics account, you will be able to easily see the most important information that Google Analytics provides for your photo sharing site. Simply click this template link and then choose your view/photo sharing url from the dropdown. Note you'll need to be logged into your http://analytics.google.com account.